Looking for a good web host isn’t a walk in the park. There are hundreds of different web hosts out there, all of them promising you with “the best web hosting solutions at an affordable price”. But among this vast crowd, chances are you’ve already encountered this brand: Aplus.net. Aplus.net has been around longer than you’ve known the existence of the Internet. Founded in the year 1992, this web hosting provider is a subsidiary of Deluxe, which is a well-known global check manufacturer. As a web host, their mission is to provide what their clients need in their first essential step towards building a website, from domain name registration to web development and design. They provide marketing, online advertising, SEO, as well as eCommerce. On top of these, they offer a number of easy-to-use website-building tools and of course, web hosting services that suit every budget. 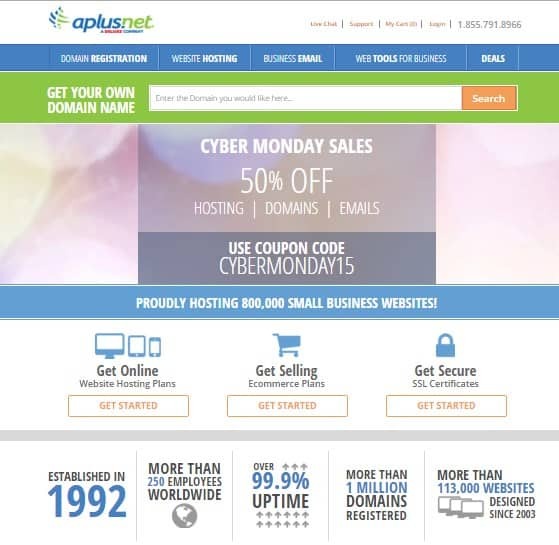 There’s no doubt that Aplus.net is a veteran that already knows the inner workings of the web hosting industry. With over two decades of experience and expertise, they have become one of the top choices in the market for both personal and small business use. But while they aim to be a one-stop shop for web hosting solutions, they come with a few quirks, too. They have an impressive track record and they’re surely doing something right to have lasted this long in a competitive market. But nothing is perfect, and Aplus.net is no exception. Shared hosting is the ideal solution if you’re just getting started online and you’re on a tight budget. Aplus.net offers affordable shared hosting packages that offer a choice between Linux and Windows hosting. Because, while most web applications are Linux-based, there are still some that are dependent on the Windows OS. Most users would probably be safe choosing the Linux OS, but others who want to use a script that requires Windows (like those programmed in ASP) will definitely go for Windows hosting. There are not a lot of web host that give you this option, so this is a big plus for me. For $9.99 per month, you can unlock the Basic plan which provides you with a FREE domain, 100 GB disk space, 500 GB monthly transfers, and the ability to host 2 domains. This isn’t much, to be honest, but if you’re just looking to build a simple site, then this will do. Stepping it up is the mid-tier plan, Business, which is yours for $19.99 a month. You’ll get 300 GB disk space, 3000 bandwidth, and the ability to host up to 20 domains. You’ll get the best value from this plan, and it’s ideal for those who want to set up an online store on a budget. Upgrading to the next level is the Professional plan, which comes at $29.99 per month. If you want unlimited resources, then this is the plan for you, as it’s packed with unlimited storage and bandwidth, plus unlimited hosted domains. But the thing is, these features can be seen on other web hosts – and for a fraction of the cost, too – so in reality, Aplus.net is more expensive when you do a comparison. Take BlueHost, for example. They offer unlimited features even on their most basic shared hosting plan, for a price as low as $3.95 per month! Still want to stick with Aplus.net? 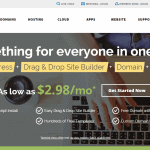 They currently have a one-time instant offer where you can get your first domain for FREE and save 50% off if you purchase the Basic hosting plan. This offer is based on a 1-year term so if you think you can commit to them for a year, then this limited-time promo will give you great savings. Want more hot deals? Aplus.net is currently running Black Friday and Cyber Monday sales for those who wish to sign up for an account with them. By using the BLACKFRIDAY15 or CYBERMONDAY15 coupon code, you’ll get 50% off on their web hosting plans. You better hurry, though, because these are limited offers and they might end soon! 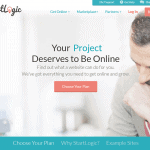 With every plan, you’ll get your first domain for FREE. A domain name is important because it serves as your identity online. Aplus.net assure that you’ll get the name you want, for a cheap price. Each hosting plan comes packed with the SiteLock security bundle. SiteLock is a global leader in website security. It runs a daily scan of your site to help protect you from hackers, and any other malicious activities and threats that could harm your business. I know how much of a hassle it is to have to analyze statistics on your website using a third-party analytics app. Good thing Aplus.net lets you view stats on things like visits per page, duration on page, downloads, clicks, visitor engagement, etc. – all without having to purchase a third-party app! You can even download the reports so you can get a full understand of your site’s performance. Convenient, right? Aplus.net assure that you can easily manage your billing account, pay invoices, and add new features. You can also easily set up email accounts and configure the settings, all from within the powerful control panel. No system admin required! Besides these, Aplus.net also offers a Search Engine Optimization (SEO) toolset which is a useful perk that will help you streamline your content so other people can easily find it. Not all web hosts provide SEO assistance, so this feature really stands out. But other than this, Aplus.net’s features are, to put it bluntly, pretty standard. They offer the usual add-ons, and you can only gain access to eCommerce tools by upgrading to their eCommerce plan, which we’re going to talk about later. If you’re in need of a more robust hosting plan, Aplus.net might not be the choice for you. They currently don’t offer Virtual Private Server (VPS) and dedicated hosting plans, which are usually what bigger businesses and companies go for since they need to manage larger, high-traffic websites. If you’re looking for alternatives, consider checking BlueHost, eHost, and iPage. And don’t forget to check out my in-depth reviews on these web hosts to know more about their services. A serious business owner wouldn’t just stick with a physical store. Nowadays, you can reach out to an even wider audience on the Web, especially if you have your own online store! With Aplus.net’s eCommerce web hosting solutions, you’ll have everything you need to launch a full-blown eCommerce site and start selling online! Unlike other web hosting providers, Aplus.net offers hosting plans that are designed for those who want to launch an online store. These eCommerce plans come with the necessary tools and features you need so you can start selling online right away. Their online store builder comes with a built-in Pinnacle Premium Shopping Cart that can be used out-of-the-box for selling products online. 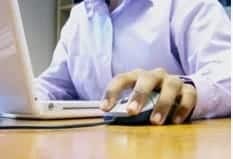 This plug-and-play technology, combined with a dedicated IP address (necessary for processing credit card payments), make Aplus.net’s online store builder a popular choice among business owners. There are three different eCommerce hosting plans to choose from: Starter, Advanced, and Pro. Just like the shared hosting plans, you can go for monthly payment, although you can save up on hosting costs if you choose to stay with Aplus.net for a year or more. 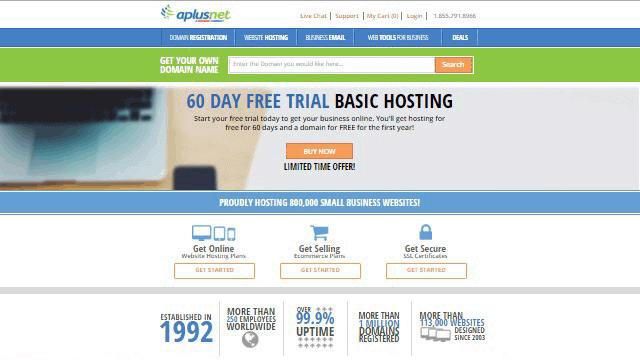 Compared to other web hosts that offer eCommerce hosting packages (like Aabaco Small Business, for example), there are no transaction fees with Aplus.net. However, they impose limits on lower hosting packages, which is a bit disappointing considering how many web hosts offer unlimited features even on their most basic hosting package. And without a discount or special promo on offer, Aplus.net’s plans are a bit pricey if you do a comparison with other web hosting providers. [Insert Pinnacle] For your eCommerce site to succeed, you need to provide your customers a secure online shopping cart that will give them the freedom and peace of mind to shop and purchase on your site. Good thing there’s the Pinnacle shopping cart, a robust and scalable eCommerce tool that’s designed to help you build an eCommerce site and manage it with ease. It’s a user-friendly shopping cart software that comes ready to support discount coupons, gift cards, recommended products, and many more besides. Not all web hosts provide a shopping cart software as feature-rich as the Pinnacle Premium Shopping Cart so if you like what you see, then Aplus.net is a good option for your hosting needs. Aplus.net offers a custom control panel. They didn’t really state what type of control panel they use, since there’s no mention of cPanel or vDeck or any other standard control panel that’s usually being offered to clients. They only refer to it as a “powerful control panel” so from the looks of it, it’s safe to say that it’s built by the folks from Aplus.net themselves. It’s not quite as easy to use as cPanel, but it’s nevertheless a workable alternative. It’s an award-winning control panel that’s packed with numerous tools, although I must admit that some of them are plain useless and are just for show. If you cut away the unnecessary stuff, what you’ll find are standard features like a file manager, database admin tools, email management tools, and a bunch of other features that are usually found in a typical control panel. You’ll also see a number of ads promoting other Aplus.net services, but it’s not like they’re getting in the way of the actual features. From the control panel, you’ll have access to the application installer, which may not be as straightforward as other installers like Softaculous because it requires users to create databases first before they can use it. However, it does seem to work as expected once you create a database and choose a proper installation location. As mention earlier, Aplus.net offering Windows hosting which you would otherwise not find so easily at most web hosts. Aplus.net comes with support for ASP.Net and standard ASP, both of which can be activate from their control panel. Activating it means you can use IIS apps within your hosting account. This web host also has a handy tool for managing PHP settings right from the control panel, as well as a tool that allows you to restore certain files from regular backups. For that, I give them the thumbs up. Aplus.net guarantees a 99.9% uptime, but this appears to come with some strange clauses that almost helps them get out of a sticky situation. Their uptime guarantee is measured over 3 months as compared to most web hosts that do it over a single month. They’ve mentioned that their data center is housed in Phoenix, Arizona but that’s all there is to it. I didn’t find any more relevant information on how reliable they are. Looking at various customer reviews doesn’t even help them score some extra points. In fact, they might just drag them down further, with a lot of testimonials complaining about poor uptime. Aplus.net offers the standard 30-day money-back guarantee, which means you can try out their services without the risk for the first 30 days upon signing up for a hosting account. So if you’re not satisfied with what they have to offer, you can just cancel your account within the trial period. But besides the industry-standard money-back guarantee, they are currently offering a deal that’s not readily available in other web hosts. I’m talking about Aplus.net’s FREE 60-day trial on their Basic hosting plan. That’s right, you can get hosting absolutely for free within the first 60 days! And if you’re pleased with their service and want to commit to an annual plan, Aplus.net will top it up with a FREE domain for the first year of service. Quite a tempting offer, right? So if a web host’s money-back guarantee is a big deal to you, then Aplus.net’s offer might just be one of their main selling points. 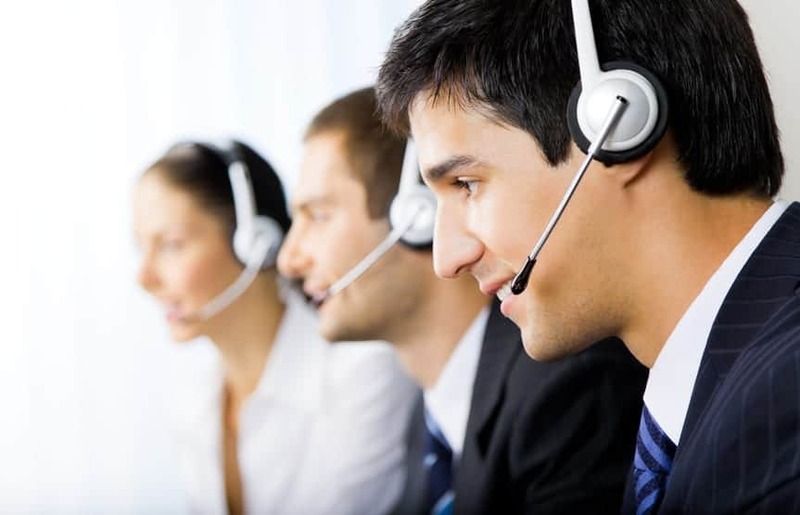 If you have any questions or require technical support, Aplus.net has a friendly, knowledgeable, US-based support staff that are available to help you 24 hours a day, 7 days a week via phone, email, and live chat. But while they claim to have live chat, there’s doesn’t seem to be any sound proof. I attempted to reach them many times over the course of 5 days, but to no avail. I then decided to test their phone support. I was connected to a rep within a couple of minutes (which is quite impressive, by the way), and asked about the different between their shared hosting and eCommerce hosting plans. The rep was able to provide me with the answers I needed, although they were a bit canned. Besides the usual methods, Aplus.net claims to have a FAQs and Wiki section, but I failed to find these on their site. It’s also worth noting that they lack video tutorials and user forums, which would have come in handy for those who require basic how-to’s and guides if they run into trouble with their hosting service. Aplus.net also have active Twitter and Facebook account, although the Twitter feed is basically a one-way stream of announcements and retweets. The staff, however, are more active on Facebook and interact with customers from time to time. Most discussions are normally taken to email, with faster-than-average response times. Bottom line is that Aplus.net have hired the right people to do the job, although they still need improvement in terms of providing better customer support. Aplus.net is a web host that offers both good and bad points. It’s a nice alternative to hosting your site with just the right features and functions. It’s a shame, though, that the service is dragged down by unstable reliability, below-average customer support, and prices that are over your standard web hosting plans. Aplus.net may be an ideal solution for individuals and small business owners on a budget, but their service straddles an awkward line: They have lots of useful tools and features, but the issues with downtime and customer support send conflicting messages. The mediocre price point and limited data allowance in their hosting packages also put them in a tight spot. In the end, everyone gets about half of what they really wanted. If you won’t rely too much on customer support and could use a few eCommerce tools, then you’ll definitely get away with Aplus.net. But if you need a more robust, more feature-rich, and more affordable hosting plan, then this web host might not exactly meet your standards. Aplus.net have received mixed reviews from their customers, but what really worries me the most are the unsolved issues regarding uptime problems. This is an important factor to consider when looking for a reliable web host. A website that experiences frequent downtimes is bad for business. After all, how can your customers check your products and purchase from your store if it’s down most of the time? Because of this, I couldn’t recommend Aplus.net to those who are serious about launching a site as their main source of income. If this matches your description, then I suggest you look elsewhere. All you need to get started is all in here! Still with them but looking for a new hoster, have not been happy since they were bought out by Delux, they made too many changes and many i have not liked. Fees go up all the time and now they’re became the most expensive yet they are less of what i paid for in 2010. Customer service loyality is gone and they control panel page i liked in 2010 they removed which they changed after and never liked. So more problems i can list so i don’t recommend them. - CONS: Terrible control manager design, php editor awful, high domain & hosting prices, no US employees online and no support after hours anymore, webmail design upgrade stinks, customer support awful, they appear to make changes when customers disagree and more.